As many of you know, I have a great fondness, some might say obsession, for artistic business signs, or, as I call them, sculptural signs. Therefore, I celebrate each new example of this art form that is installed in downtown. This morning I noticed a new one. It’s for Monarch, at 405 Division Street. I think it’s really beautiful and, at the very least, quite colorful. 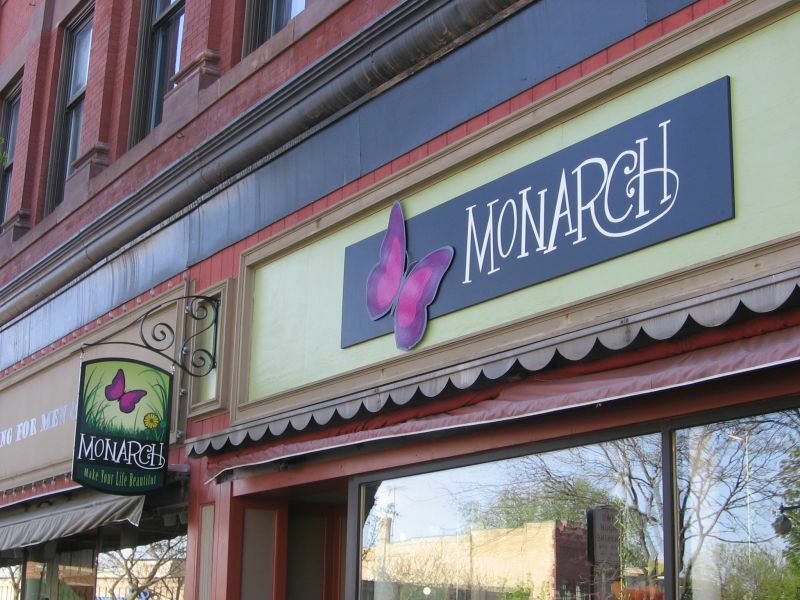 Not only is the main sign over the store sculptural, with a three-dimensional butterfly, but there’s another addition to our commercial streetscape. They’ve included a smaller sign that hangs perpendicular to the building that you’ll notice in the lower left of the photograph. I really love this type of sign; in my mind, they signal economic vitality from a block away. So come on down(town) and check out Monarch’s new sign. Maybe stop on in and thank them for adding to the aesthetic appeal of our authentic shopping district.